Ethereum has a history as interesting as one would expect as one of the early projects in the decentralized space. It has been hacked, forked, praised, criticized, faced competition but has stood the test of time and further proved that it is an integral part of the crypto ecosystem. According to DappRadar, a platform that collects information on Dapps, the Ethereum network is a host to a wide variety of Dapps. What Do the Most Popular Ethereum Dapps Look Like? After less than four years of going live, the Ethereum network has already seen more than 1,300 Dapps built on it. The Dapps are as diverse as it can get and the top 10 list often consists largely of games, exchanges, and gambling. 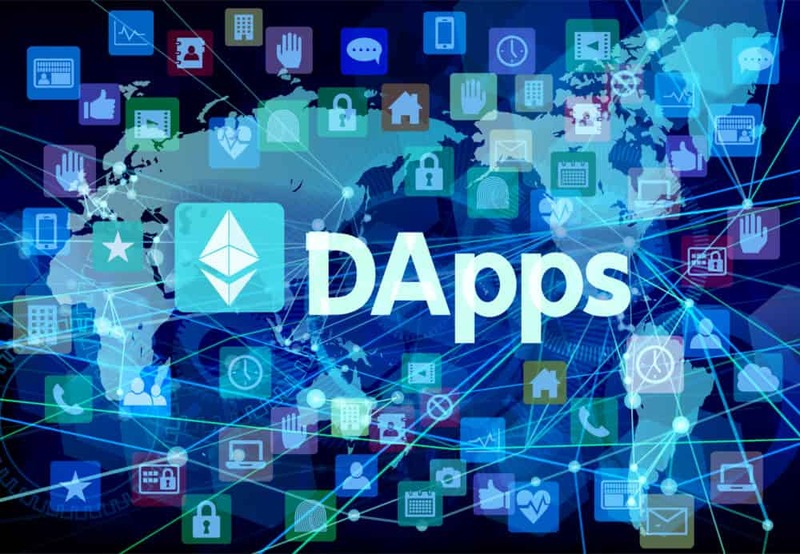 We have compiled a list of 10 Ethereum Dapps utilizing data from DappRadar, that should provide a great overview of the kind of Ethereum DApps which are popular in the market right now. To get started, a user has to unlock an Ethereum wallet. The decentralized exchange recommends Ledger, a hardware wallet. Next, the user has to deposit tokens on the exchange. Users can then buy, sell, withdraw, and deposit tokens. The tokens listed on IDEX are traded against ETH, WBTC, TUSD, and DAI. ForkDelta is a decentralized exchange that allows users to trade Ether and Ethereum ERC-20 tokens amongst each other. The DEX was launched in January 2018 and has a clear roadmap of what has been done so far and what the exchange plans to do in the future. ForkDelta is a community-based project that accepts public donations. The exchange depends on Ethereum-hosted smart contracts. Under normal circumstances, deposits and withdrawals take less than five minutes to settle unless if the Ethereum network is clogged. HyperDragons is a blockchain-based strategy game. On the welcome screen, users are asked to complete email verification if they want to receive dragon and DST rewards. Users need to have Eth or DST tokens in order to register. The Dapp has a built-in decentralized exchange that allows users to ERC-20 tokens. Trading on the platform follows the familiar procedure of connecting a wallet, adding and wrapping Ether, and unlocking tokens. Blockchain cuties is a collectible game that allows users to play with animals such as puppies, dragons, bear cubs, cats, lizards, and more. Each cutie is unique and only belongs to the user. Users can easily collect the cuties, breed them, test their battle skills, and arm them. Each cutie is an ERC-721 token that can be sold to other players in a similar fashion that cryptocurrencies are traded. The game has a multiplayer mode who can fight against each other. Etheremon is a game that combines the benefits of blockchain and virtual reality technology. It provides users the opportunity to own the assets that can neither be stolen nor influenced by external forces. Users can train their Mons so that they can accumulate more value. The mons can evolve and lay eggs. Game players can also mine an in-game ERC-20 token known as EMONT. EtherDice is a provably fair dice game with a simple user interface. A user can bet on flipping a coin or rolling a dice. The player can also specify how much they want to wager. The game has an exchange that offers the players an opportunity to be the house by buying the in-game Dice tokens. The Kyber network is a system which enables decentralized token swaps everywhere. The system’s on-chain liquidity protocol is utilized by financial protocols, decentralized exchanges, token teams, Dapps, payment systems, investors, wallets, and fund managers. KyberSwap provides simple, instant, and secure token swaps. CryptoAssault is a war game that allows users to build to their own army. Players need to purchase unique and tradable ERC-721 tokens called Units. The units can be bought from the on-going sale and start building an army. The units can be merged together to create more powerful units. The game has a huge 3D world that accommodates thousands of players. The units move in real-time as they battle other units and capture territories and mine resources. The units own pieces of land. Players with huge territories receive daily Ethereum rewards. However, the land is not treated equally. Players who own the land in the center receive higher rewards. Just like in the real world, players can join forces and launch coordinated attacks. CryptoKitties is a video game based on the Ethereum blockchain that allows players to buy, collect, breed, and sell several types of virtual cats. It represents one of the earliest and probably the most important attempts at bringing blockchain and recreation together. The game gained popularity which caused the Ethereum network to be congested in December 2017. The number of transactions on the protocol hit an all-time high, but the network was significantly slowed down. The virtual cats are breedable, and each has its own distinct DNA. On Dec. 2, 2017, the first cat known as Genesis was sold for 246.9255 ETH (~ $117,712 USD) at the time. Each cryptokitty is represented by a non-fungible ERC-721 token. Needless to say, Good Luck Casino is an online casino that currently offers three games – 3D Roulette, Baccarat, and Casino Hold’em. The platform is working on adding new games such as Big Wheel and BlackJack. Good Luck Casino is developed by an experienced team of developers and operators. The basic requirement for playing the game on the platform is Ether cryptocurrency and a digital wallet such as Metamask. People with Ether in their wallets can place their bets on their games of choice. Any winnings are immediately deposited in the players’ wallets. The online casino has a betting board which displays in real-time how other users play games.